GURGAON: An Iraqi woman who went to a Fortis Memorial Research institute here for treatment was allegedly molested and sexually harassed by a staff of the hospital. 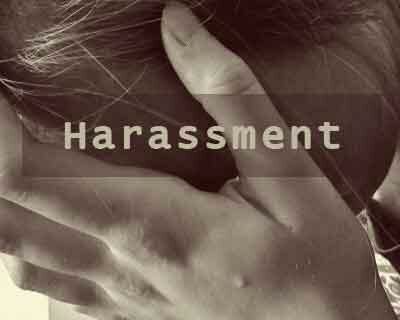 In her complaint to the police the woman alleged that she was molested and sexually harassed by a unknown person in the hospital premises during the course of treatment while she was admitted to the hospital. The police today said the incident occurred on May 5, 2016 when the woman went to the Fortis hospital for check-up. The Gurgaon police received a letter from Ministry of External Affairs (MEA) to conduct investigation into the matter after registering a case, PRO of Gurgaon Police, Hawa Singh said. Gurgaon Police said the Police Commissioner’s Office received the MEA letter today. “A complaint has been made to the Embassy of Iraq by a female Iraqi national that she was sexually harassed while she was admitted in Fortis hospital, Gurgaon. MEA has informed Gurgaon Police about this,” the PRO said. After receiving the letter from MEA, Gurgaon Police have registered an FIR in this connection at Sushant Lok police station. “Although FIR has been registered in Sushant Lok, police station, Gurgaon Police is yet to receive the original complaint made by the lady. “Further investigation will be carried out upon receiving the lady’s complaint”, said Deepak Saharan, DCP-East Gurgaon. An official Spokesperson of Fortis Memorial Research Institute said, this is a case dating back over two months back allegedly involving a contractual worker employed by an external agency. The worker was immediately relieved of his duties. The external agency is co-operating fully with the concerned authorities who are looking into the matter, the Spokesperson added.